Business-to-business (B2B) logistics startup BlackBuck, which is run by Zinka Logistics Solutions Pvt. 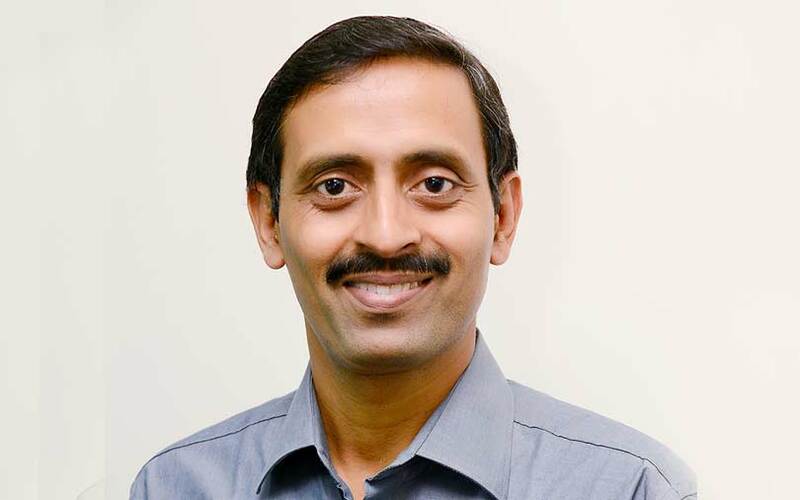 Ltd, has announced the appointment of Venkatesh Bhat as its new chief financial officer (CFO). Bhat had previously served as CFO of Atria Convergence Technologies Pvt. Ltd, which operates fiber broadband provider ACT Fibernet. Bhat's appointment came into effect this month according to his LinkedIn account. He is expected to strengthen Bengaluru-based BlackBuck's top tier of leadership with the company in the midst of an expansion phase. “His deep financial expertise and past operations stint would strengthen the management team as we continue to expand our geographical footprint and offer superior experience to our partners and customers,” said Rajesh Yabaji, BlackBuck's co-founder and chief executive officer. Bhat replaces KP Pradeep, who quit in July last year after just seven months in the role. A trained chartered accountant, Bhat also previously held senior leadership positions at GE Healthcare, Whirlpool India, and Hindustan Unilever Ltd.
BlackBuck has made a string of senior-level appointments in the recent past. In November, it appointed Dinesh Ajmera, a former executive of Dubai-based online retailer Souq executive, as chief technology officer (CTO). In July, it had appointed Arvind Singhal, who earlier worked with jewellery platform BlueStone, as its chief operating officer (COO). BlackBuck was founded in 2015 by IIT Kharagpur alumni Yabaji, Chanakya Hridaya and Ramasubramaniam B. The company focuses on B2B logistics solutions for long-haul trucking and competes with the likes of Rivigo. It brings together shippers and truckers through its online marketplace to facilitate inter-city freight transportation. The firm counts Asian Paints, Unilever, Coca-Cola, Britannia, Godrej, Marico, Jyothy Laboratories and EID Parry among its customers. The firm is among the most well-funded tech startups in the logistics space, having raised a little over $105 million in external funding to date, according to VCCEdge, the data research platform of News Corp VCCircle. For the financial year 2016-17, BlackBuck registered a steep seven-fold rise in gross revenues at Rs 566.83 crore, up from Rs 81.25 crore in the previous financial year. Likewise, operational revenue, which is generated from the sale of its services, also increased seven times to Rs 563.54 crore. However, gross expenditure also rose nearly seven-fold to Rs 653.44 crore, up from Rs 97.74 crore in the previous financial year. Transportation costs, which included freight costs and loading and unloading costs among others, accounted for the majority of expenses at Rs 573.82 crore, up from Rs 82.10 crore in the previous financial year. The company's losses rose five-fold to Rs 86.67 crore in 2016-17, up from Rs 16.48 crore in the previous financial year.